Yes it’s finally cricket time. 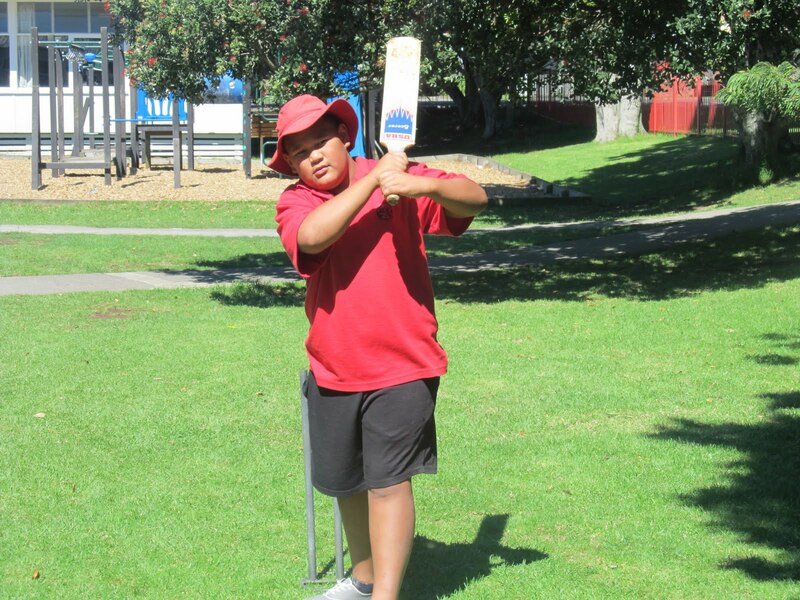 Every Thursday Room17 have cricket with two guys named Hamit and Robin who work for the NZC (New Zealand Cricket) teach us how to play cricket. One day we learned how to do a shot called the front foot drive. When we did that shot we to hit the tennis ball between the cones, I think I did NOT do that well, I didn’t even hit it between the cones. It was still fun. I still have alot more to learn. After that we had a game of cricket. We all got to have two shots each (it wasn’t like a real game of cricket). When it was my turn I only got about four or five runs, but my friend Ashin hit two MASSIVE hit, but Hammit always bowled the ball. It was really fun. I still have alot more to learn from them.